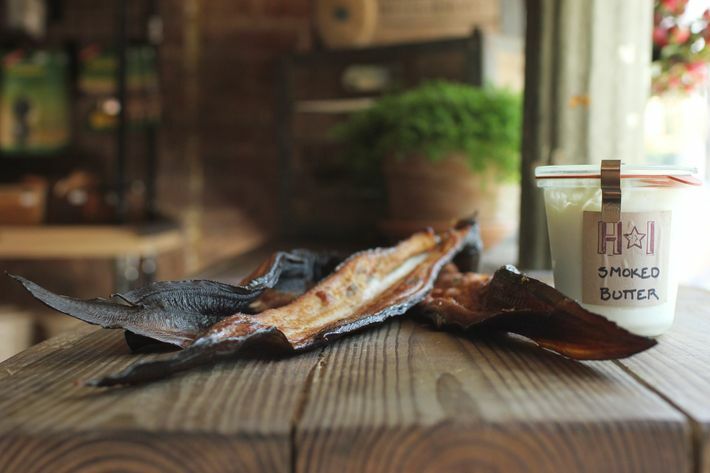 In April, Grub dropped the news that fermentation-happy chef Will Horowitz (Ducks Eatery, Seamstress) was building a research and development lab to explore everything pickled, smoked, and cured. 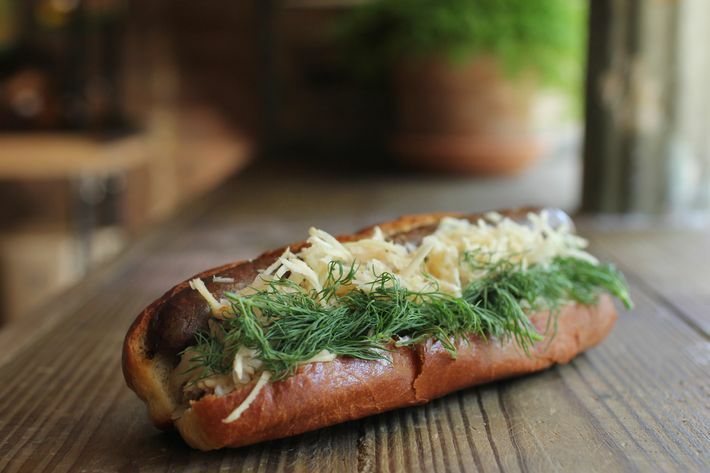 As part of that effort, Horowitz planned to devote some of the space to a retail store, Harry & Ida’s Meat and Supply Co., a place where he and his team (sister Julie alongside chefs Jonathan Botta and Chaz Lindsay) could sling sandwiches and peddle experiments like smoked butters, morel and cockle conservas, pickled cattails, and charcuterie. 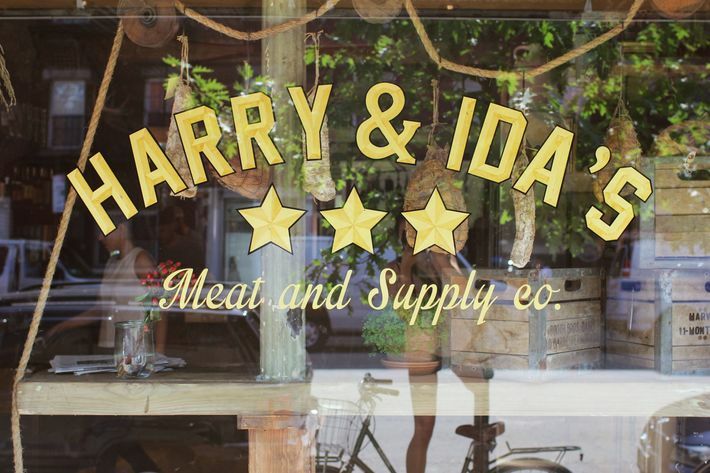 As promised, this week sees the Harry & Ida’s opening: The final space is a brick-walled sliver of a general store designed to look like a butcher counter and inspired by the Jewish delis his Hungarian great-grandparents once owned uptown. 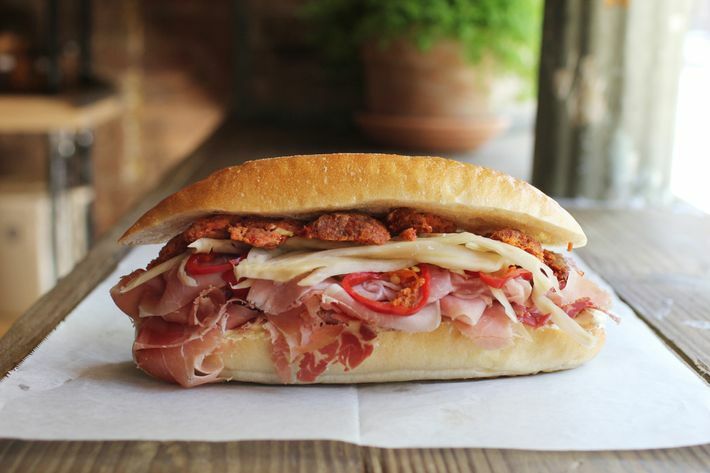 Along with the pantry goods, there’s also a tight sandwich menu, featuring four standbys and a couple of seasonal specials down the line, which leans heavily on the traditional foods of the Northeast. 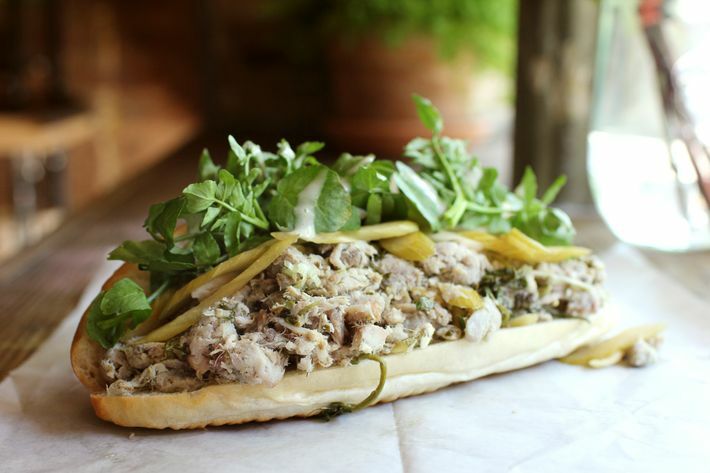 Think smoked bluefish and (soon) smoked eel, a kind of riff on the Italian combo, and pastrami made using his great-grandparents’ recipe. 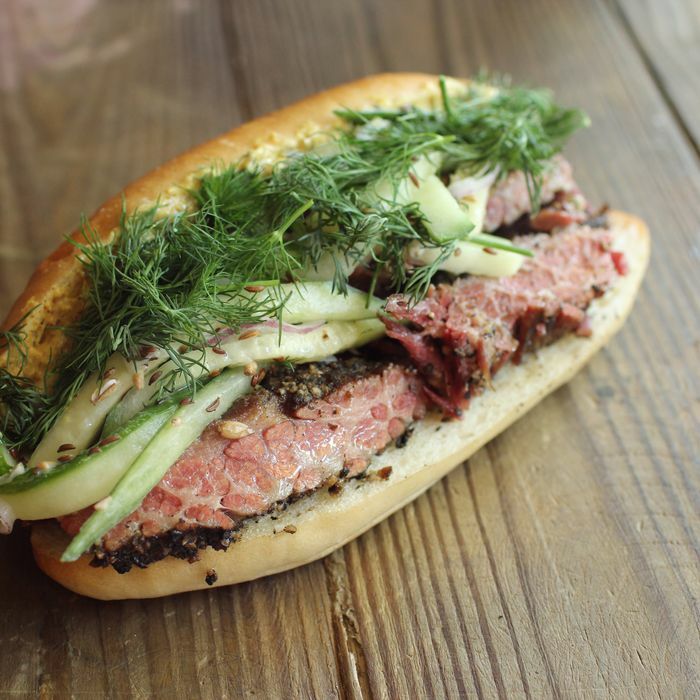 (In keeping with a no-waste ethos, scraps from that pastrami will be used to make a hot dog.) 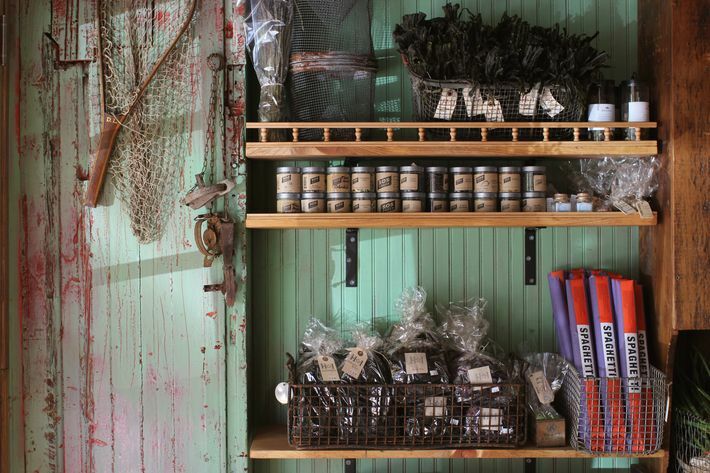 Though the point of Harry & Ida’s is the homemade products, the team will carry a variety of goods from mostly local producers, as well. Expect cured meats from West Loop Salumi (with some exclusive collaborations), homeopathic medicines from Violet Hill Farms, and a grain section, featuring farro, polenta, and yellow coarse grits from Anson Mills (which is exciting, since the revered South Carolina mill’s products are still tough to track down in New York). 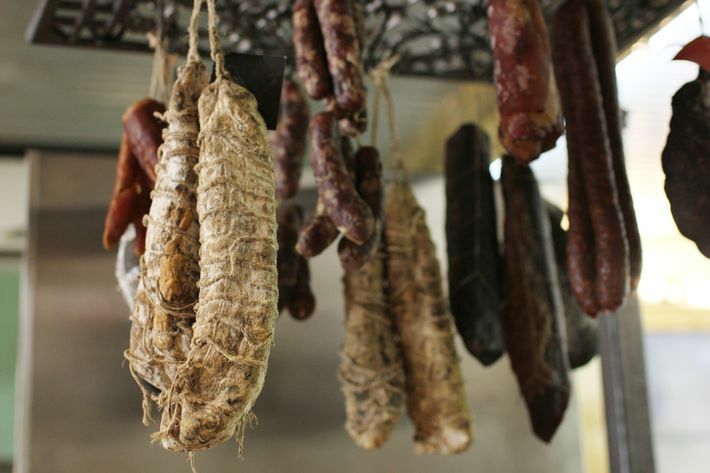 There will also be plenty of foraged goods, with a whole section devoted to dried wild seaweeds right now — though Horowitz is quick to say that he wants the place to constantly evolve.